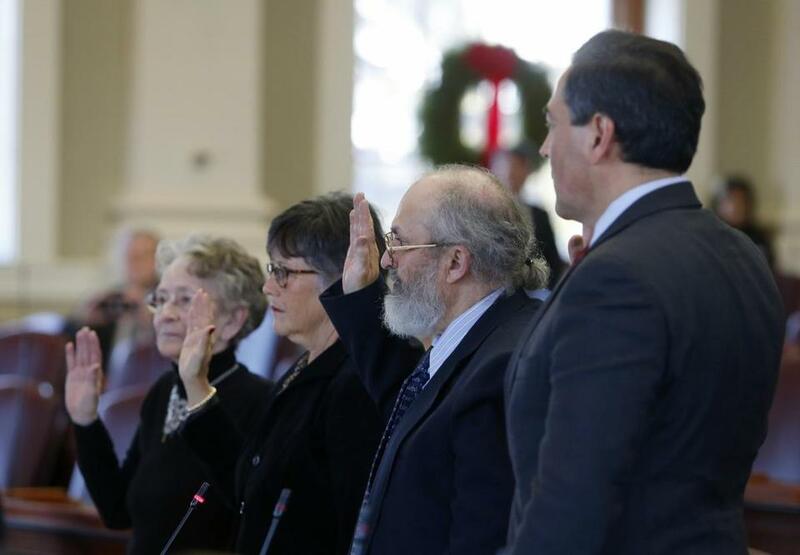 Electors Betty Johnson, Diane Denk, David Bright, and Rick Bennett were sworn in at the State House in Augusta, Maine. WASHINGTON — There were many protesters but few faithless electors as Donald Trump won the Electoral College vote Monday — ensuring that the billionaire will become America’s 45th president. An effort by anti-Trump forces to persuade Republican electors to abandon the president-elect came to practically nothing and the process unfolded largely according to its traditions. Trump’s polarizing victory Nov. 8 and the fact Democrat Hillary Clinton had won the national popular vote had stirred an intense lobbying effort, but to no avail. Even one of Trump’s fiercest Republican rivals, Ohio Gov. John Kasich, said it was time to get behind the president-elect. ‘‘We want unity, we want love,’’ Kasich said as Ohio’s electors voted to back Trump at a statehouse ceremony. Kasich refused to endorse or even vote for Trump in the election. With several states still voting, Trump had 304 votes and Clinton had 169. It takes 270 Electoral College votes to win the presidency. Texas put Trump over the top, despite two Republican electors casting protest votes. 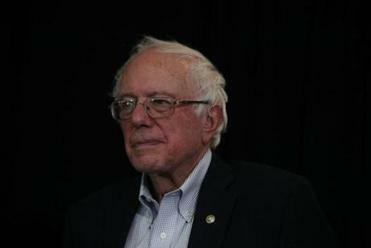 After an elector’s vote for US Senator Bernie Sanders was ruled out, he switched his vote to Hillary Clinton. Befitting an election filled with acrimony, thousands of protesters converged on state capitols across the country Monday, urging Republican electors to abandon their party’s winning candidate. In Madison, Wisconsin, protesters shouted, cried and sang ‘‘Silent Night.’’ In Augusta, Maine, they banged on drums and held signs that said, ‘‘Don’t let Putin Pick Our President,’’ referring to Russian President Vladimir Putin. Despite the noise outside state Capitols, inside, the voting went pretty much as planned. In Nashville, Tennessee, one audience member tried to read out some Scripture before the ballots were cast, but was told he could not speak. With all Republican states reporting, Trump only lost the two electors in Texas. Clinton lost four electors in Washington state — three voted for former Secretary of State Colin Powell and one voted for Native American tribal leader Faith Spotted Eagle. The Electoral College has 538 members, with the number allocated to each state based on how many representatives it has in the House plus one for each senator. The District of Columbia gets three, despite the fact that the home to Congress has no vote in Congress. Republican electors were deluged with emails, phone calls and letters urging them not to support Trump. Many of the emails are part of coordinated campaigns. In Atlanta, Gov. Nathan Deal empathized with GOP electors. ‘‘I, too, regret that you have been the subject of harassment by those who perhaps are not as dedicated to the proposition of what this body is supposed to do as they are agitated by the fact that the people didn’t do what they wanted them to do,’’ Deal told the state’s 16 electors, who all voted for Trump. In Baton Rouge, Louisiana, elector Charlie Buckels reached out to Trump’s opponents after the New York businessman got all of the state’s eight votes. There is no constitutional provision or federal law that requires electors to vote for the candidate who won their state — though some states require their electors to vote for the winning candidate. Those laws, however, are rarely tested. More than 99 percent of electors through U.S. history have voted for the candidate who won their state. Of those who refused, none has ever been prosecuted, according to the National Archives. Some Democrats have argued that the Electoral College is undemocratic because it gives more weight to less populated states. That is how Clinton, who got more than 2.8 million more votes nationwide, lost the election to Trump. Some have also tried to dissuade Trump voters by arguing that he is unsuited to the job. Others cite the CIA’s assessment that Russia engaged in computer hacking to sway the election in favor of the Republican. A joint session of Congress is scheduled for Jan. 6 to certify the results of the Electoral College vote, with Vice President Joe Biden presiding as president of the Senate. Once the result is certified, the winner — almost certainly Trump — will be sworn in on Jan. 20.